You’ve heard about all the incredible things weighted blankets can help with, and best of all, you know they can help you get a great night’s sleep. But you have one nagging question that keeps bothering you – are weighted blankets hot? We have done the research and have the answer. 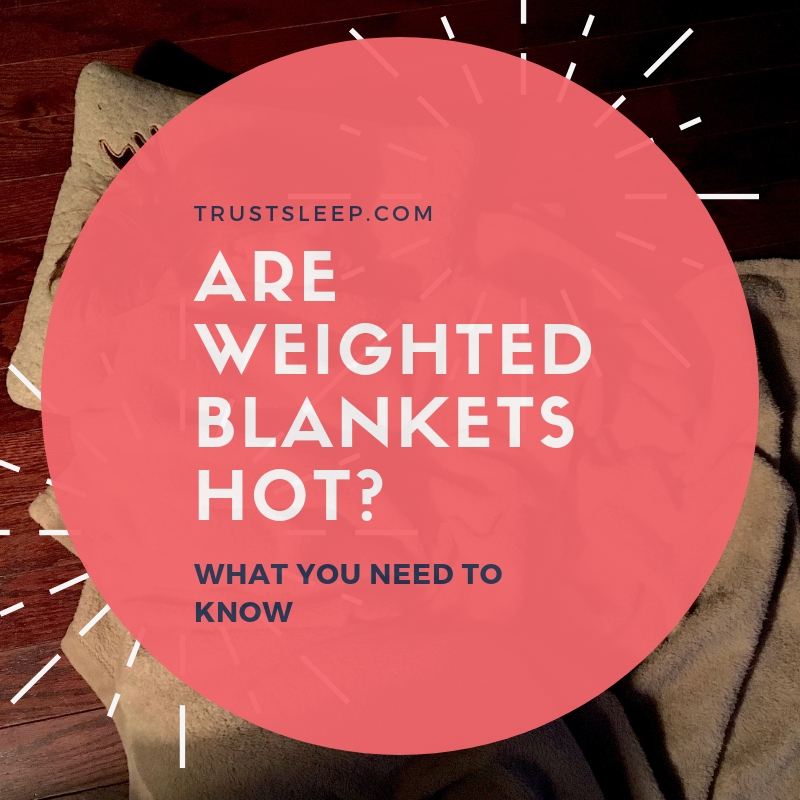 Keep reading to learn more about weighted blankets and if they are hot. Do Weighted Blankets Make You Hot? Weighted blankets can be hot, but they can also be incredibly breathable. The key difference here is what fabric is used to construct the weighted blanket. There are two main types of weighted blankets that you will find for sale – weighted blankets that are made primarily out of cotton, and ones that are made out of plush fabrics. One is extremely breathable and one traps heat. Weighted blankets that are made out of cotton are breathable, meaning that any heat that is released from the person while sleeping will dissipate into the room. Cotton weighted blankets are a great choice for anyone who runs hot or lives in a warm environment and does not require their weighted blanket to be warming. 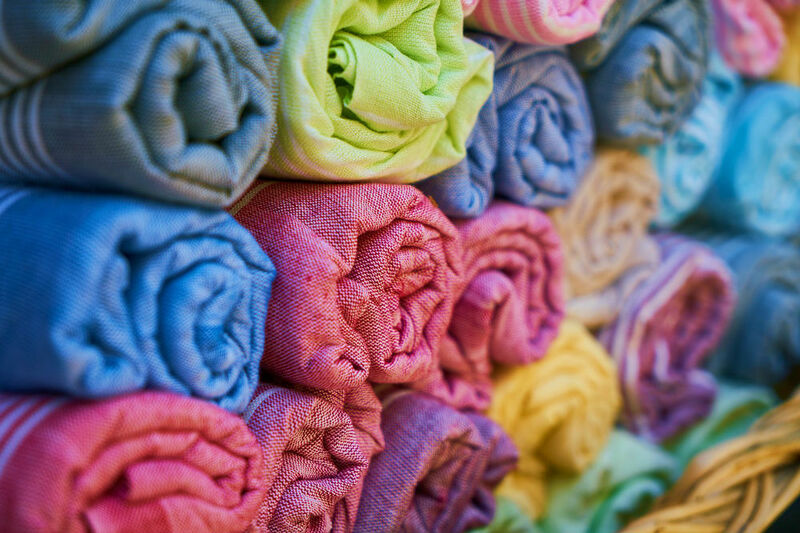 Plush fabrics, such as polyester, are extremely comfortable and soft but they are not breathable. This means that if they are used in certain warm environments or by people who run hot, using a weighted blanket can be uncomfortably warm. However, plush fabrics are great to use if you live in an environment where there are low temperatures, or if you are the type of person who gets cold easily and enjoys using a blanket to keep warm. It’s worth noting that although cotton fabrics are breathable and plush fabrics are not, you still have plenty of options when it comes to staying at a comfortable temperature with your weighted blanket. For example, if you want to get a cotton weighted blanket but you are worried about becoming too cold in the winter time, you can always place the weighted blanket on top of your traditional warming blanket. Conversely, if you are leaning towards a polyester weighted blanket but you are worried about overheating, you can do the opposite – strip away any additional sheeting or blankets to ensure that you stay cool. At the end of the day, it comes down to you and your own environment – you have to decide which type of weighted blanket is best for you. If you are worried about being too hot or too cold while using your weighted blanket, there is another solution – an all-season weighted blanket set. These weighted blankets tend to be made out of more complex, premium materials, such as bamboo or a mix of materials, and they come with an additional duvet that can be used to ensure warmth. A Bamboo and cotton blend that ensures that the weighted blanket it is breathable but also warm when it needs to be. 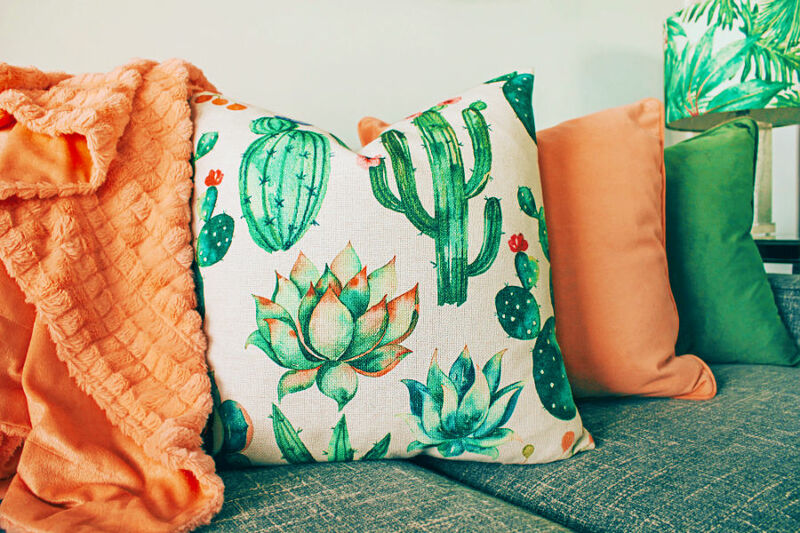 Because of this, they tend to cost a bit more than a traditional weighted blanket, but knowing that it will keep you comfortable during every season is worth the cost. Utiliza top-of-the-line weighted blanket set that can be used in all four seasons. It is made out of a high-quality Additionally, look for weighted blankets uses hypoallergenic glass beads and comes with a top of the line duvet cover. Pick The Right Fabric – If you need to stay cool when using your weighted blanket, cotton is the name of the game. If you already purchased a weighted blanket and it does not have cotton in it, you can still do things to try and stay cool, but it will be slightly more difficult. Make Sure The Room Is Cool – It may sound obvious, but even if you have the most breathable fabric in the world, if the room you are sleeping is hot then you are going to be hot. Turn down the temperature, turn up the AC, keep a fan going, and strip away any unnecessary blankets. Making your bedroom cool can also help improve your sleep. Let Your Feet Stick Out – Keeping your feet outside of the blanket can help you stay cool while you sleep. Start with one and if you are still hot, let both of your feet out from underneath the weighted blanket. Use The Water Bottle Trick – This is an old camping trick that is extremely useful. Fill a water bottle with cold water and then keep it underneath your weighted blanket as you sleep – just make sure it is a high-end water bottle that won’t leak. This will help keep you cool all night. Unplug All Electronics – This may seem like a small thing, but when you leave electronics plugged in all night they continuously draw a small amount of electricity, and this sets off heat. 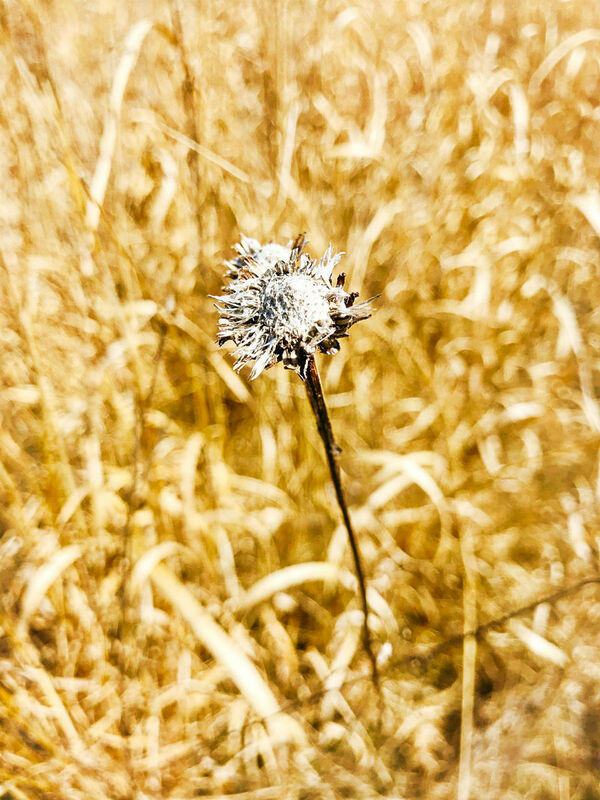 Unplus everything in your room before you go to bed – it is good for the environment and your room will be a bit colder. As a general rule of thumb, weighted blankets should be around 10% of your body weight. For most people, this will be heavy enough to get the desired effects without it being too uncomfortable. However, some people may prefer a slightly heavier or lighter weighted blanket – it is all up to preference. That being said, keep in mind that if you go too light you may not get the desired results. For more information, check out our article on guidelines for weighted blankets. No, weighted blankets do not have to make you hot, but you have to pick the right material. If you only take away one thing away from this article, we want it to be this – if you tend to turn hot or live in a hot environment, pick up a weighted blanket that has cotton in it because cotton is a breathable fabric. There you have it, everything you need to know about weighted blankets and the truth behind whether or not they are hot. If you have any experience with weighted blankets and finding the perfect solution for your specific body heat, let us know in the comments below. We hope you find a great weighted blanket that will serve you for years to come – just make sure it is made out of cotton if you are worried about overheating. As always, feel free to leave a comment or question and the writing team here at Trust Sleep will do our best to get back to you promptly.